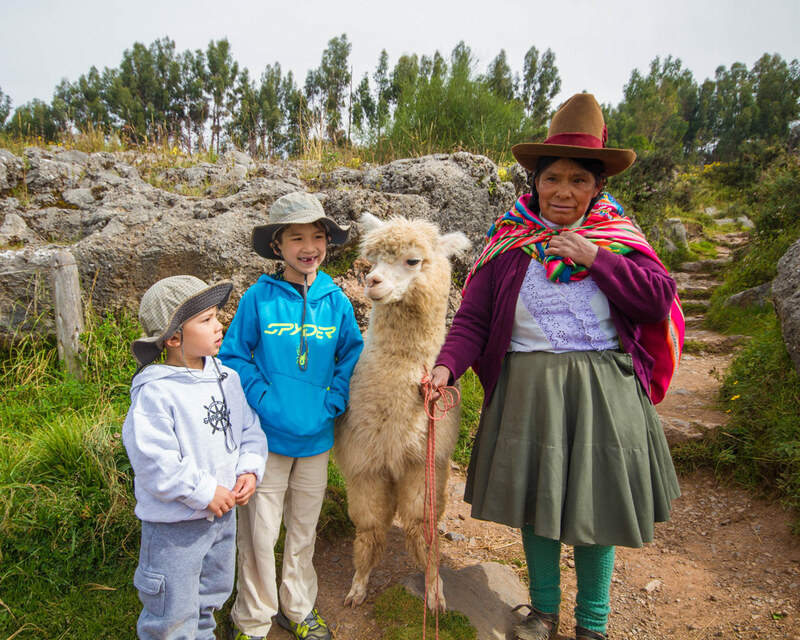 The day after exploring Machu Picchu with kids, we spent our day exploring Cusco. It was a beautiful day full of rock sliding and ruins in Sacsayhuaman, eating churros in the main square and dining on tapas in the evening. But throughout the day there was one thing that stood out for all of us. Before heading to dinner, we were going to be making chocolate at the ChocoMuseo in Cusco Peru! You can read our entire two-week Peru itinerary here. What is the Cusco ChocoMuseo? 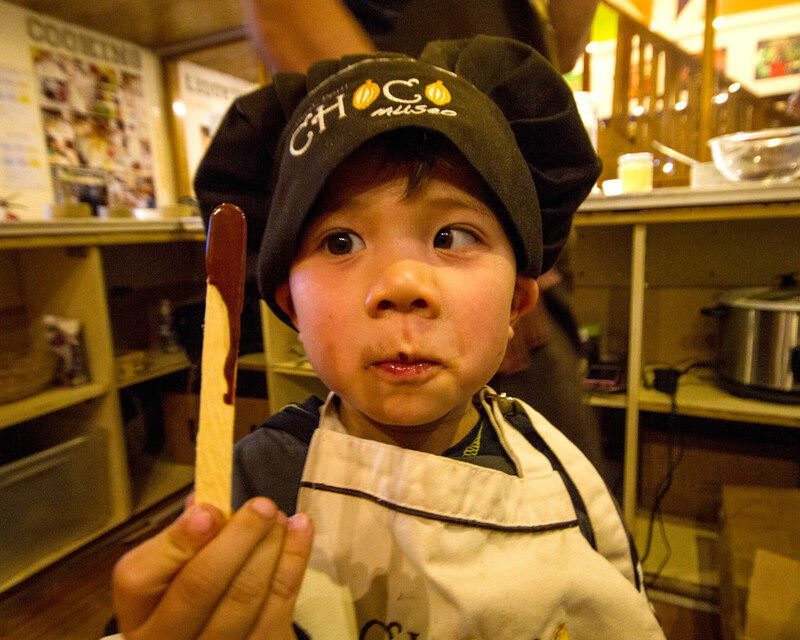 ChocoMuseo is a chain of chocolate museums and workshops located in 12 cities, throughout 6 countries. The locations were all chosen for their proximity to regions where cocoa plantations are located. 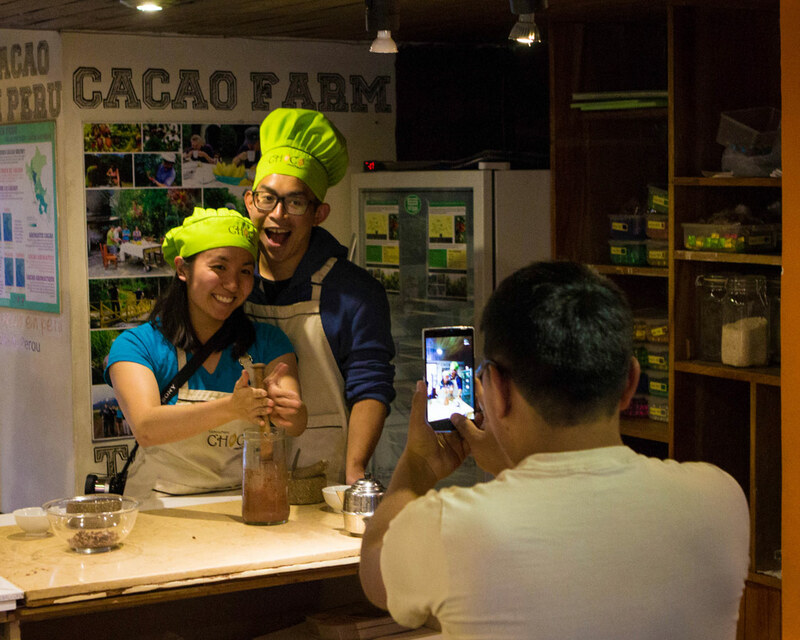 The ChocoMuseo Peru offers a range of activities from workshops to tastings and even tours of cocoa farms. But we signed up for one that we knew we would love the most. 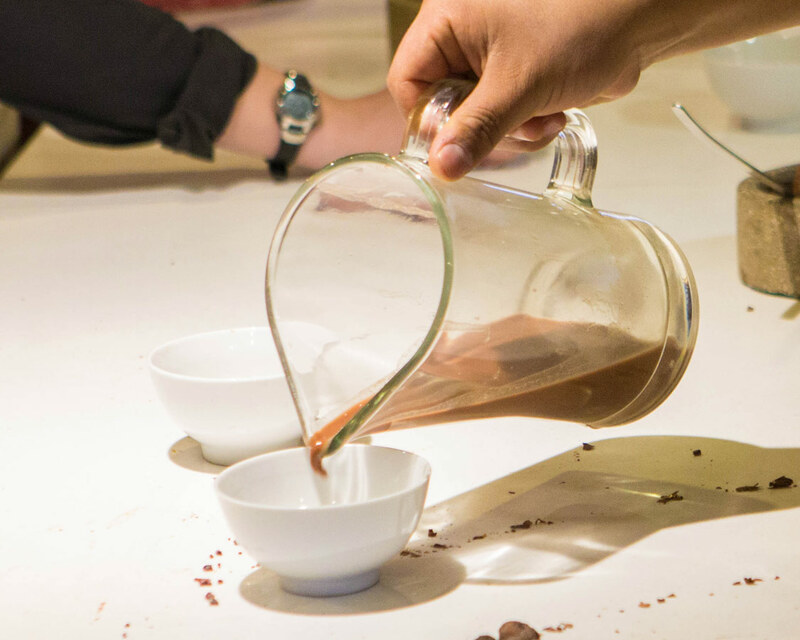 Our experience in at ChocoMuseo Cusco would be the Bean to the Bar workshop and was set up by Kuoda Travel. The Bean to Bar workshop would take us through the process off making chocolate from scratch! 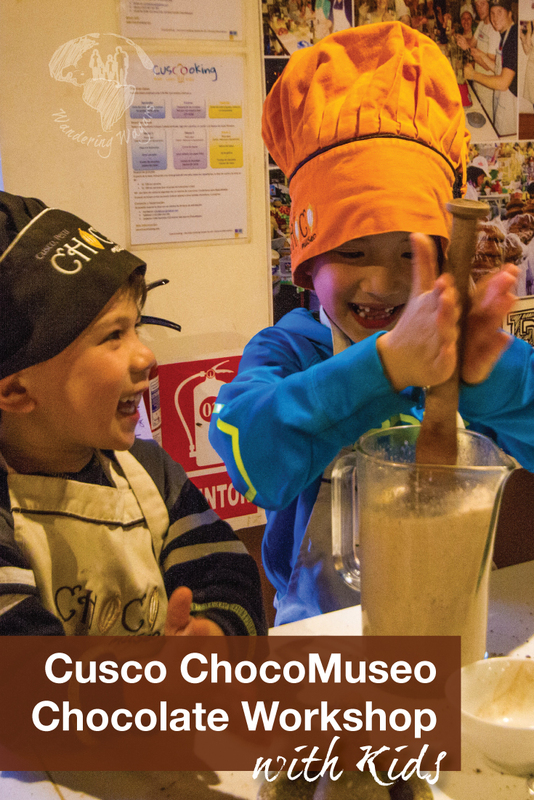 ChocoMuseo Cusco is just 2 blocks from the city’s Plaza de Armas on Calle Garcilaso. 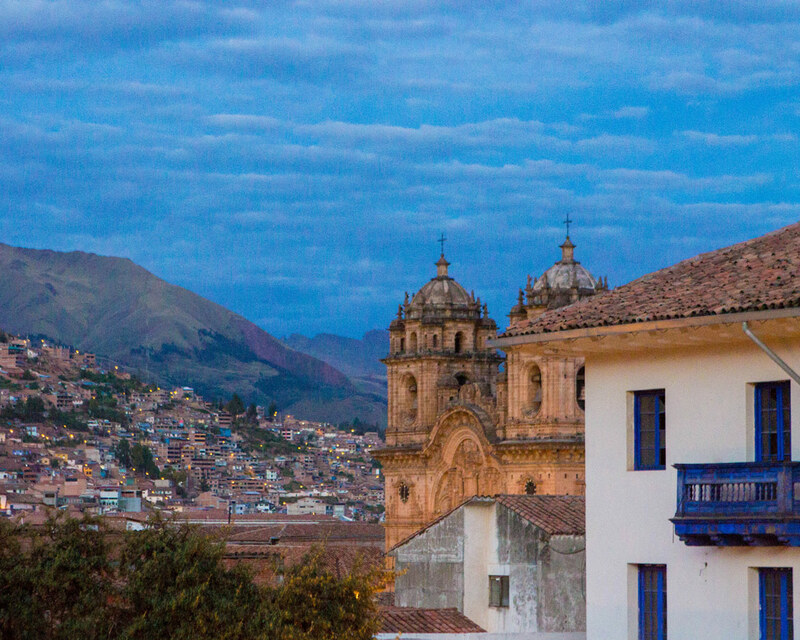 The area surrounding it makes for a wonderful place to wander and is one of the must-see places in Cusco. We were staying at the Hotel Ramada Costa del Sol which was just steps. 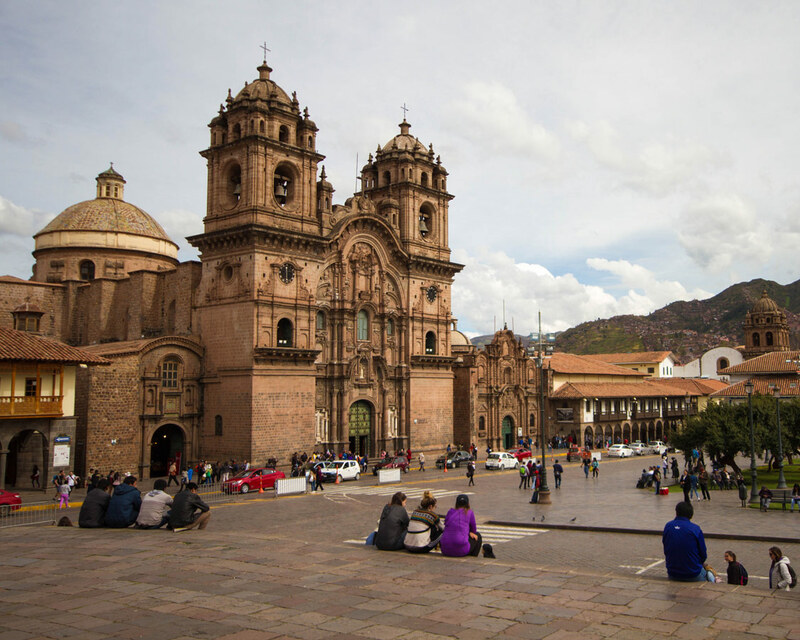 We spent our time before our workshop exploring the Cusco Cathedral and wandering the nearby artists market. When the time came for our workshop, we made our way over to Calle Garcilaso and up to the second floor to the chocolate museum. When we arrived at the ChocoMuseo Cusco Peru, we were greeted warmly and ushered into the back room where a demonstration kitchen was setup. There were already quite a few people sitting in the provided stools on the surrounding counter, everyone talking excitedly to each other. The room was warm, but we managed to snag a row of seats near the one open air balcony. The balcony offered a wonderful view of the town, as well as a much-appreciated cooling breeze. Once everyone had arrived, we were greeted warmly by the host. His cheeky personality and dance moves were an instant hit with the boys. 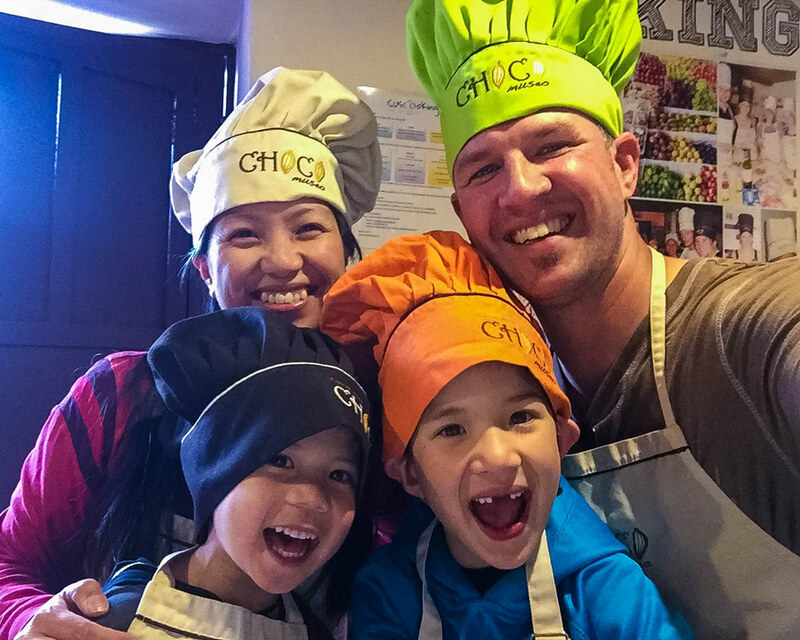 When we were handed our brightly colored aprons and chef hats, they were over the moon with excitement. Our workshop began with a chance for all the attendees to get to know each other. People were visiting from all over the world, including Israel, the USA, Japan and more. We all got to taste a few different kinds of chocolate and had the differences between them explained. While C loved all the different types, D kept tasting the milk chocolate over and over again. Once we all knew what kind of chocolate we loved the most, we were handed a handful of beans and began peeling the shells. The shells would be used to make chocolate tea and some of the beans would be used to make fresh hot chocolate. The tea was delicious, tasting somewhat like a sweet green tea. Christina and I loved it, but the boys weren’t so sure. The hot chocolate, on the other hand, that was a hit with everyone! It helped that the boys got to be a little more hands on with making it, including baking and stirring the beans and adding the ingredients and mixing them into the delicious beverage. Our next step was crushing our beans up into a paste to make the base for our chocolate bars. This was the hardest part for the boys. The beans had be pounded and ground with a mortar and pestle. But we worked as a team to get the beans ground down to a good paste, and our treat at the end was worth it! There was one thing that the staff of the Cusco ChocoMuseo did that really caught our attention. They were absolutely excellent at engaging one-on-one with each member of the group, and ensuring that all the groups in attendance had their own photos to take with them. During big workshops like this, it’s very easy for attendees to get caught up in the excitement and leave without having their own photos on hand. But that certainly won’t happen here! Once all the chocolate had been ground down and mixed into the different types of chocolate (dark, milk, white, and coca), we got to work on making our bars. We got to choose from a selection of molds. And then came the treats to add to our chocolate. The boys were wide-eyed as the marshmallows, cookies, spices, smarties, and more were laid out in front of us. C added a mixture of different flavors to his treat. While D used every single marshmallow in the building to build something completely unrecognizable, but invariably delicious! Once our chocolate had been added to our treats, we placed our trays into the refrigerator and said goodbye to our hosts. The chocolate needs to cool down for about an hour before it can be bagged and labeled for each attendee. We took the time to wander the town some more before picking up the treats on our way to dinner at nearby Cicciolina. 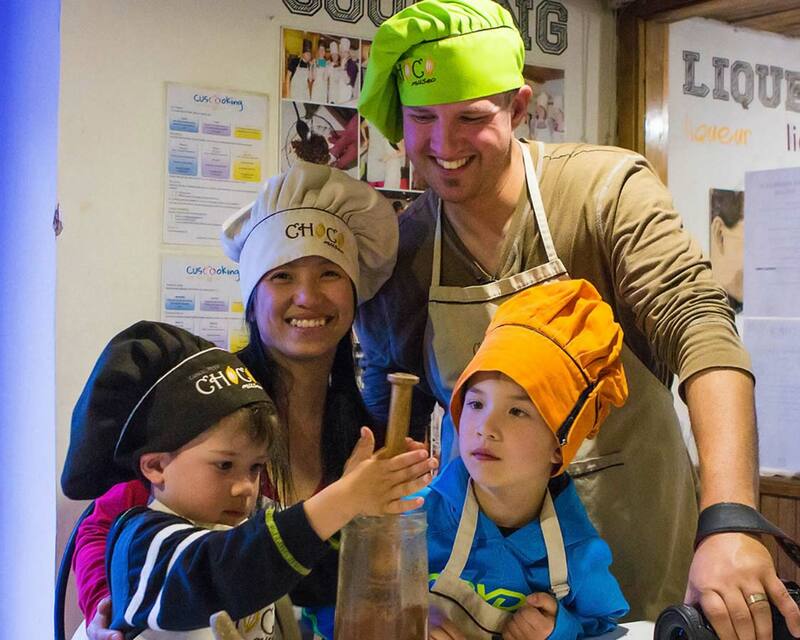 Do We Recommend the Bean To Bar Workshop at the ChocoMuseo in Cusco Peru for Family Travel? 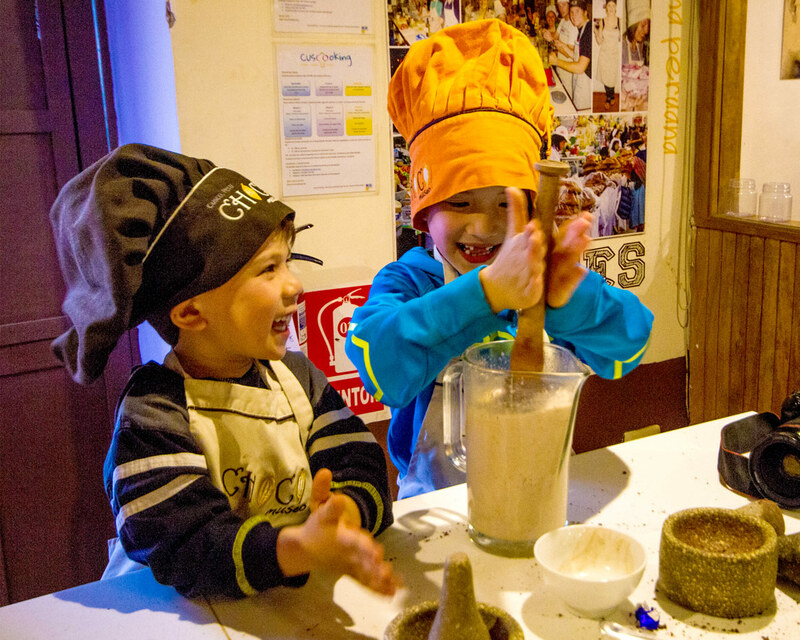 Our experience at the Cusco Chocolate museum was a blast. It was absolutely one of the highlights of our trip. The fun and casual vibe ensured that the kids never felt pressure, and they loved the energetic music and interaction with the wonderful staff. The ChocoMuseo is a fantastic way to add some fun into a journey to Cusco, and we highly recommend it. I’d do that in a heartbeat. So cool that you were able to pick up your creations after dinner as well. Just seeing those kids’ smiles is evidence of what a great experience that was. Looks like a ton of fun! This is so cool! What a unique experience for C and D, and for you guys too. I’d definitely consider this and I don’t have kids! You had me at choco… or maybe at churros! What a fun experience! I will return to Cusco just to visit the Choco Museum! It looks so much fun! Thank you for sharing this!